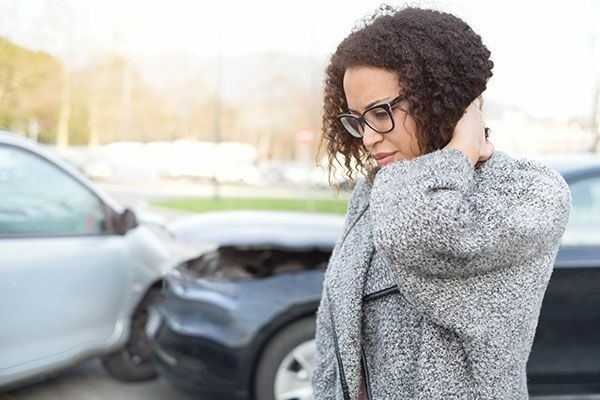 People injured in car accidents can suffer a strain of the neck muscles and surrounding soft tissue, more commonly known as whiplash. Ensuring active treatment under the care of a qualified physiotherapist or chiropractor can help speed recovery and prevent a reoccurrence of injury. Whiplash may result in tender muscles (Grade I) and limited neck movement (Grade II), which starts one-two days post-accident. This type of injury is short lived and most people make a complete recovery. Many people experience no disruption to their normal activities after a whiplash injury. Those who do usually improve after a few days or weeks and return safely to their daily activities. Signs of serious neck injury, such as fracture, are usually evident in early assessments. Healthcare professionals trained to treat whiplash are alert for these signs. Successful treatment requires patient participation and active efforts to maintain daily activity. A physiotherapist or chiropractor will assess your whiplash injuries, and discuss options for rehabilitation treatment and pain relief. Continuing normal activities and resuming neck movement as soon as possible is very important to recovery. Resting for more than a day or two usually does not help the injury and may instead prolong pain and stiffness. A return to normal activity may include active treatment and exercises. Cervical collars, or “neck braces,” prevent motion and may add to stiffness and pain. These devices are generally not recommended, as they have shown little or no benefit. Avoid sitting in one position for long periods, and periodically stand and stretch. Sit at your workstation so that the upper part of your arm rests close to your body, and your back and feet are well-supported. Adjust your seat when driving so that your elbows and knees are loosely bent. When shopping or carrying items, use a cart or hold things close to the body for support. Avoid contact sports or strenuous exercise for the first few weeks to prevent aggravation of injury. When sleeping, adjust your pillow to support the neck at a comfortable height. Properly adjusting the height of your car seat head restraint (head rest) will help prevent whiplash injury in an accident. The top of the head should be in line with the top of the head restraint and there should be no more than 2 to 5 cm between the back of the head and the head restraint. If you think you’ve suffered whiplash, visit a healthcare professional who can properly assess a whiplash injury. Active treatment and care from a physiotherapist or chiropractor can help speed recovery.